So what do you do if you have an old bicycle complete with bell that you no longer use? 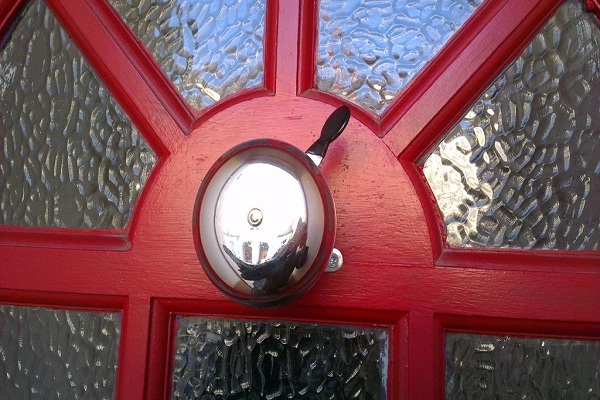 Well one answer is to take the bell part and use it on your front door. At least this is going to make a noise, but you do need to work out how you hear it inside to save yourself from just leaving them hanging around outside.